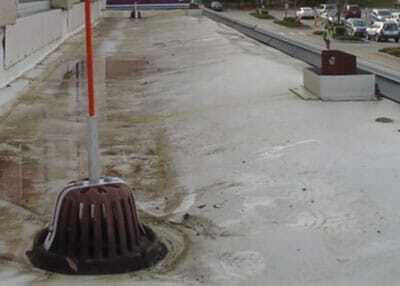 WHO PUTS THEIR TRUST IN ROOF DRAIN MARKER COMPANY? EVERYONE! I highly recommend the markers. 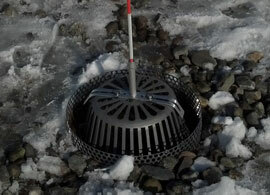 It was easy to identify the drains in the snow, and the guys said they were really easy to install. They hold up great. 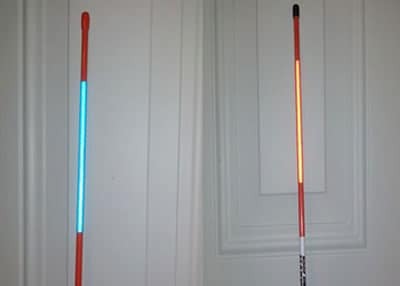 The flag markers are strong but flexible. They’re worth the investment and look really good on the roof. I HIGHLY RECOMMEND THE MARKERS. 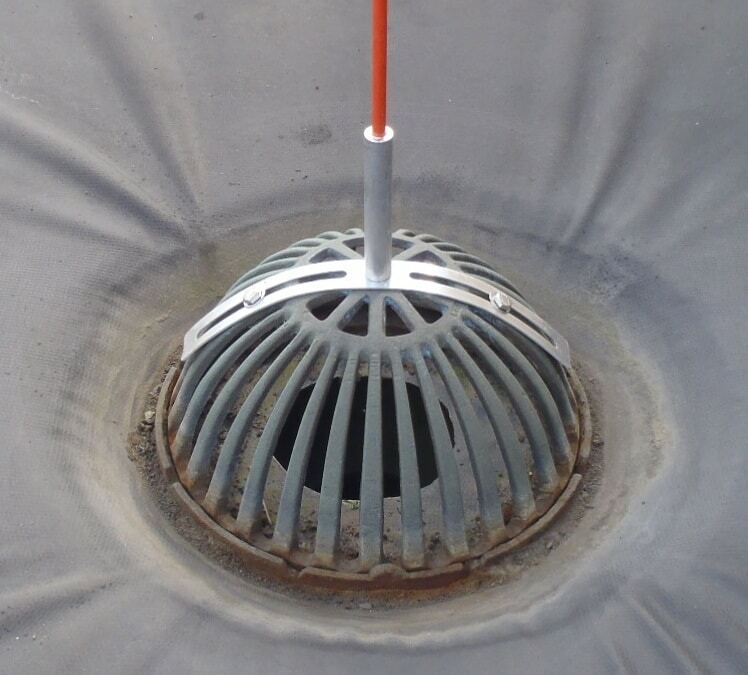 The markers were very useful during our most recent snow storm to locate the drains that were buried. We easily found the drains and shoveled snow away from them and cleaned the debris away from the drains that would have caused us trouble. 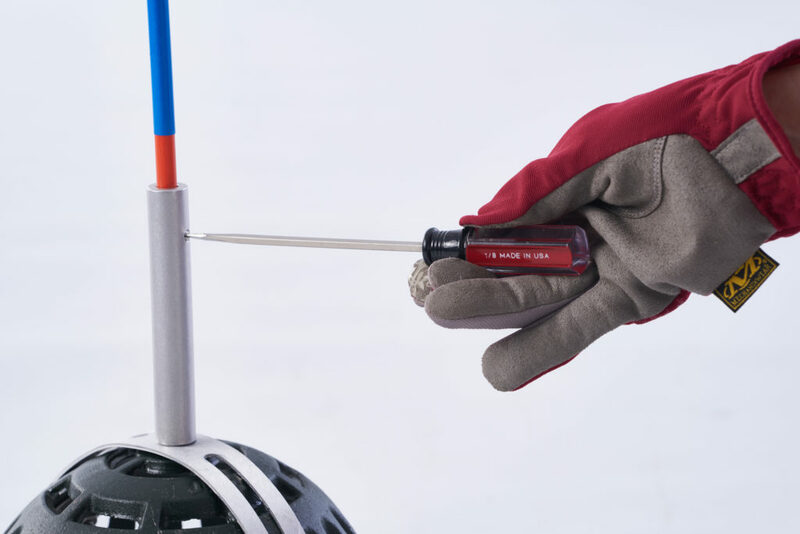 Since their installation (which was very easy), we have not had a single issue with the markers. They are a quality product that I would definitely recommend to anyone. Drain markers worked and are still working well. 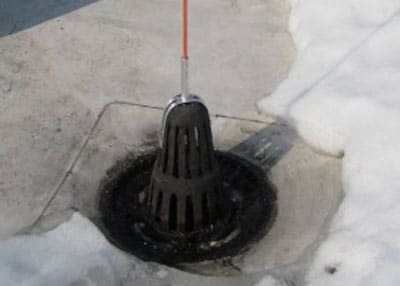 Not only did they come in handy during the snow fall we had this winter, but also helping the trades guys keep track of cleaning the debris from the drains. 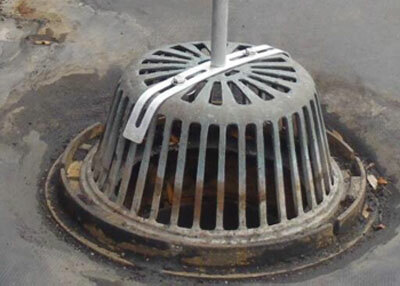 What a great idea using them for identifying conduit and such, and I love the little clip on flags. 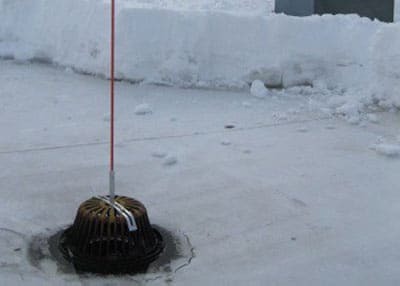 The Roof Drain Markers were very easy to install and highly visible for our staff to identify during and after heavy snow conditions. 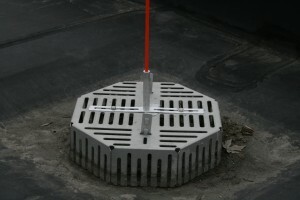 The reversible features of the markers are very beneficial for communicating the maintenance status of each drain. 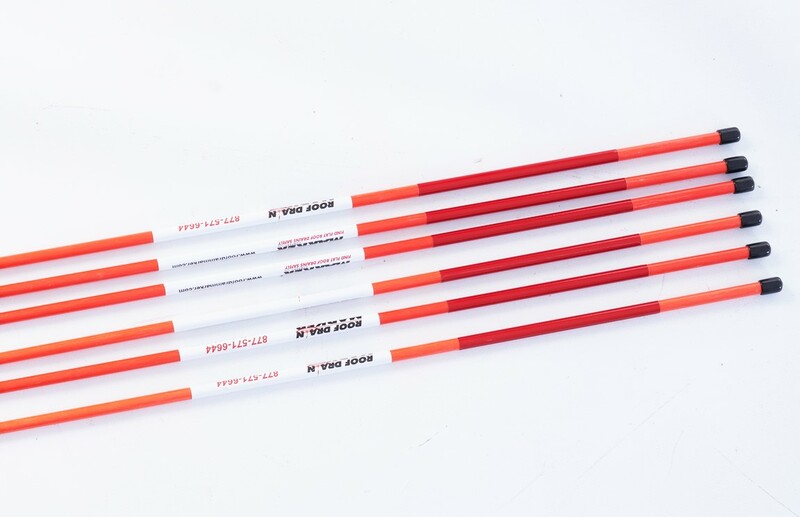 The material quality is excellent; the markers are durable and able to withstand low ambient temperatures without freezing or corrosion issues. Universal fit, top mounts to all sizes & shaped covers. 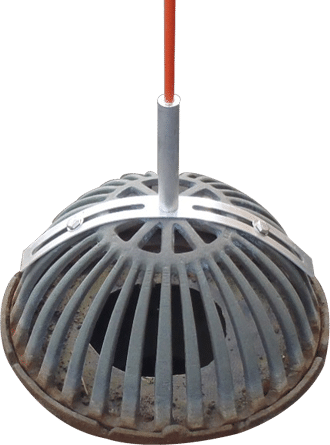 Impervious to fresh water, Reversible with lock in feature, Built to last the life of the roof. 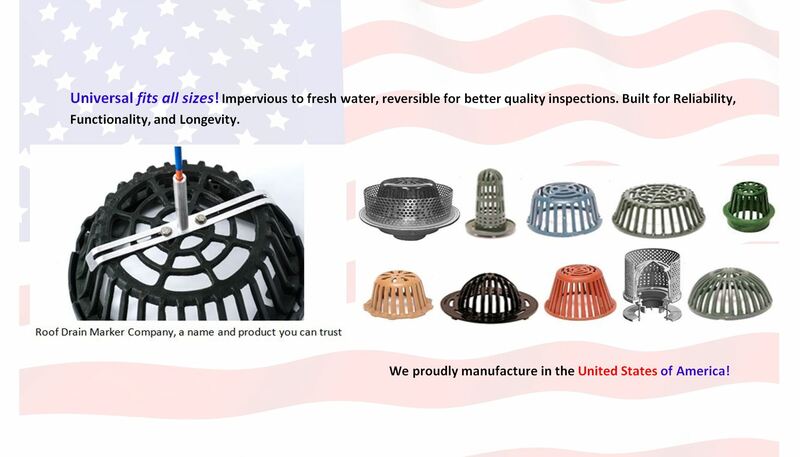 Proudly manufacturing in the United States of America we ensure the highest quality of materials and craftsmanship. 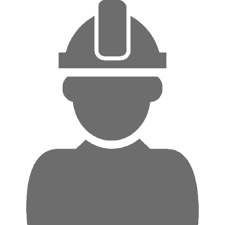 You don’t have to be a large corporation to make good risk management decisions. Some investments just make sense, we’re one of them. 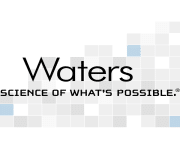 Join these top risk managers in avoiding losses and protecting business continuity. Your budget and maintenance crew will thank you. 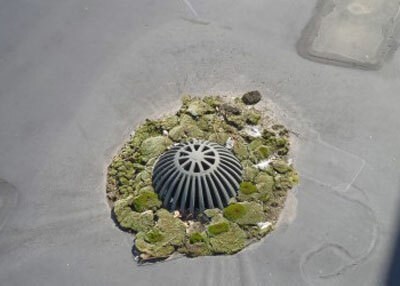 One time installation for the life of the roof. 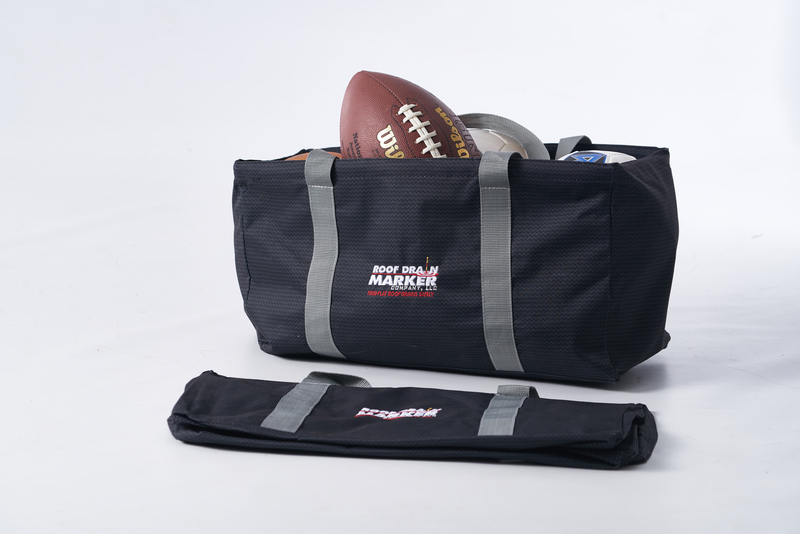 Made in the USA for strength, durability, reliability, functionality and longevity. 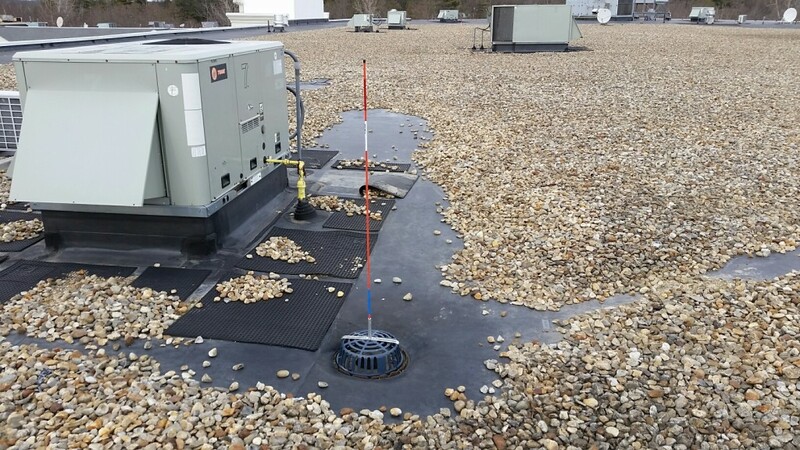 Does your Building have Roof Drain Safety Markers? 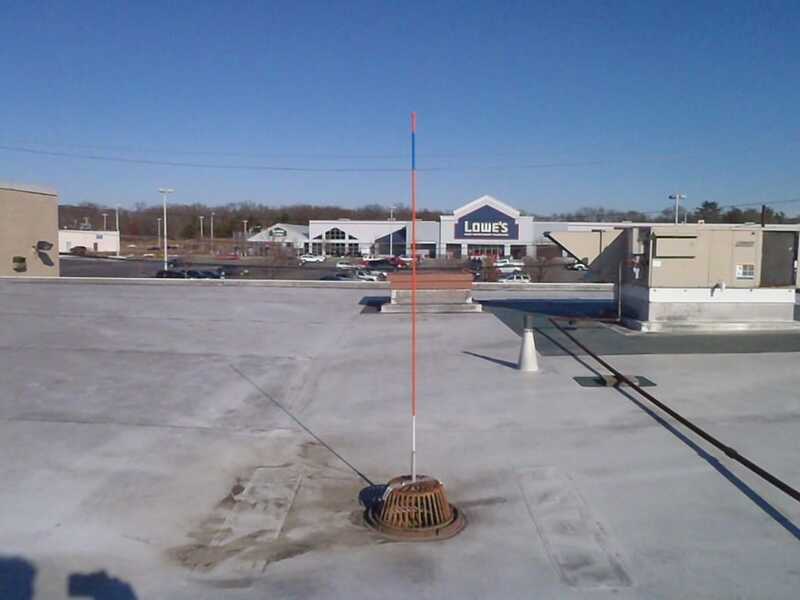 Lack of maintenance is a common reason for flat roof failure. 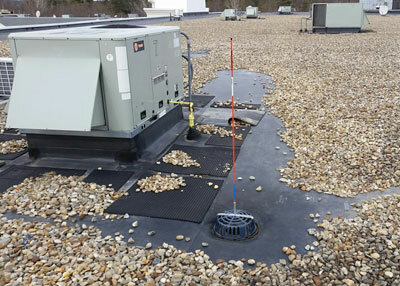 Poor drainage on your flat roof will lead to ponding, and a pressure head of water pushing into the smallest cracks and holes on your roof as it fails to properly drain off. 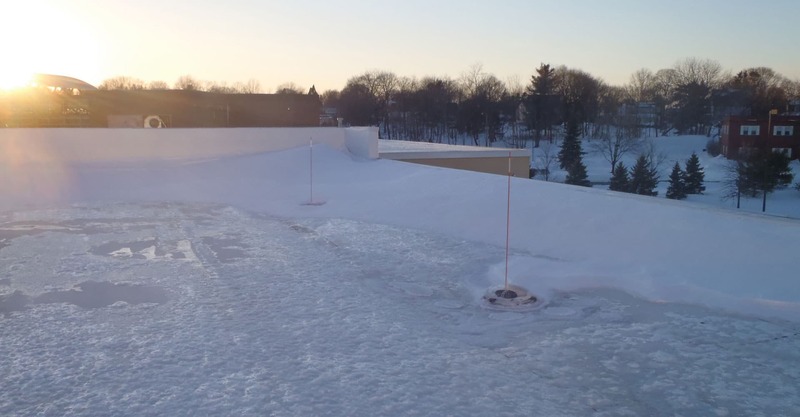 Continous freezing, thawing and refreezing of the ponding water breaks up the roofs surface. The best risk managers see an accident before it happens! 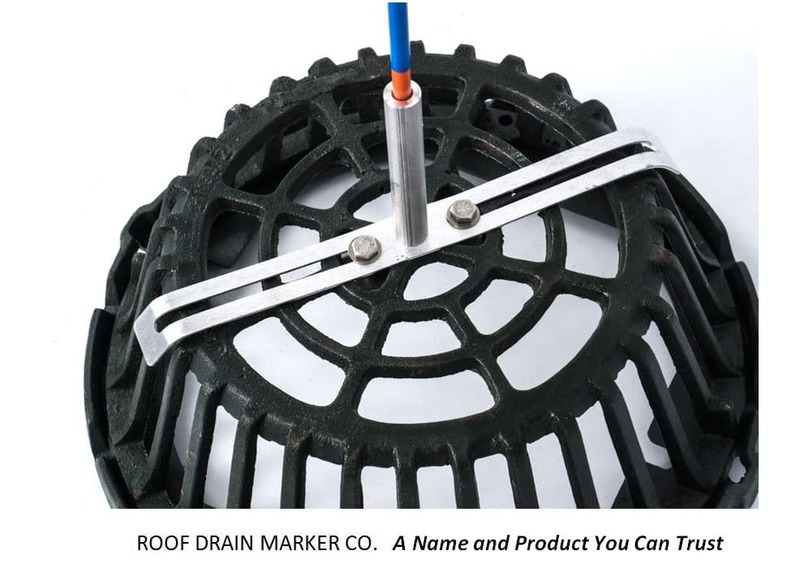 Roof Drain Marker Company wants to help.